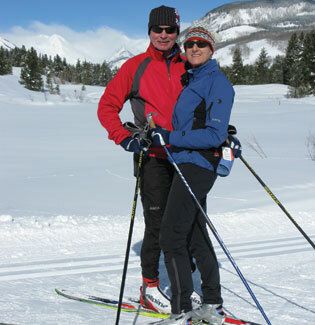 Tim Carter and Tina Wilson take a break on the scenic trails at Crested Butte Nordic Center. Photo by Leslie Annand. It’s winter. It’s cold, and there’s a thick laer of snow on the ground. Is it time to put away your outdoor fitness toys and hit the gym – breathing stale air while pretending to cross-country ski on a machine? Consider the real thing – Nordic skiing. We at Nordic Ski Colorado believe that there are millions of people out there that would fall in love with cross-country skiing if they only gave it a fair try. We publish this magazine in hopes of reaching folks who love to stay fit and are passionate about the outdoors, but may not love winter … YET. We also hope to connect with seasoned Nordic skiers around the state and strengthen the skinny-ski community that already exists. We know you’re out there, and we would like to get to know you better. 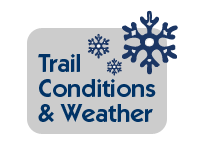 Please visit our website for more information, and go to our Nordic Ski Colorado Facebook page to post a photo or description of your latest adventure on skis. We welcome any tips you have to pass on. We also need experienced skiers to be ambassadors to the sport – to bring your friends and neighbors to a Nordic center to get their toes wet … so they can feel the magic of the glide and lose their worries on the trails. They will eventually thank you, and you’ll have new skiing buddies to call the next time it snows. Tim Carter - Publisher, Photographer & Advertising Sales • Tim, as one of the publishers, is excited to bring Nordic Ski Colorado to life. He has been a Nordic skier and competitor for 35 years and National US Nordic Champion in 1985-86-87, and has competed in the World Masters. Tim and his wife owned and operated Intervale Nordic in Intervale, NH in the 1990’s. Tim has been a photographer for 27 years, and specializes now in ski, landscape, architectural and product images. As Carter Photographics, he shoots stock photography of quality images, and has a large format printer which can produce quality archival giclée prints. Besides skiing, Tim enjoys an active lifestyle by bicycling, hiking, kayaking, and alpine, cross-country & backcountry skiing. Tim is also Publisher of Grand County Living Magazine. Tina Wilson - Publisher, Managing Editor, & Designer • Tina brings a variety of experience to the magazine, including Graphic Design, Marketing and Advertising, acquired from different jobs in the field over the past 30 years, including publishing Grand County Living Magazine since 2005. Along with Tim Carter, they started this magazine to bring Colorado’s Nordic skiing information together in one place. Tina is also an avid Nordic skier, racing locally and at World Masters events. The owner of Firebird DesignWorks in Granby, she combines her skills offering marketing, advertising, print and web design for clients. Tina leads a healthy, active lifestyle by bicycling, hiking, kayaking, and alpine, cross-country and backcountry skiing. Lisa Bornfriend - Designer & Webmaster • Music and friends brought Lisa to Colorado for several years during college, with each visit giving more and more of a reason to stay. After falling in love with the Winter Park area visiting friends, Lisa moved to Grand County from Tennessee. With a Bachelors Degree in Fine Art in Graphic Design, she currently works for Firebird DesignWorks in Granby designing and maintaining websites, along with print marketing and digital illustration. Lisa enjoys her free time in the backcountry by hiking, mountain biking, rafting, fly fishing, playing disc golf, cross-country skiing, snowshoeing and snowboarding. Jay Bender • Jay Bender is a biathlete and writer. Find out more about him at www.jaybender.com. Sharon Cutler • Sharon Cutler is a freelance writer who is passionate about playing in Colorado’s great outdoors - winter, spring, summer and fall. Cindy Kleh - Writer & Assistant Editor • Cindy Kleh is the Assistant Editor for Nordic Ski Colorado. She has lived at the top of the Rocky Mountains for over 26 years, doing freelance photography, writing and editing for magazines and books. She was raised on Nordic and alpine skis as a kid, but has been spotted dragging her knuckles on a snowboard at Winter Park. She stays active biking and hiking, with her winters devoted to competitive snowboarding. Laura Puckett • Laura Puckett is Crested Butte’s Nordic assistant manager and instructor extraordinaire. She also was an age-class winner at the American Birkebeiner, and finisher of the Ironman Triathlon World Championships. Stephanie Scholl • Stephanie Scholl is a world class runner and avid Nordic skier. She and her husband own Big Shooter Coffee in Kremmling, and sponsor the Big Shooter Bonk at Latigo Ranch. Their two kids are national cross-country champions. Nathan Schultz • Nathan Schultz, owner of Boulder Nordic Sport is a nationally know Nordic racer. Find out more about Boulder Nordic Sport at www.bouldernordic.com. Dr. Caroline Smith • Caroline has a Masters' of Science in Exercise Physiology with Bachelor degrees in Psychology and Nutrition. In addition she has a BST (Body Scan Technician) Certification and has now completed her CNHP (Certified Natural Health Practitioner) and ND (Doctorate of Naturopathic Medicine) degrees. She works with all populations (recreation, weight management, disease management, elite athletes, corporate) blending food and fitness. Martha Sortland • Martha Sortland works for the Snow Mountain Ranch/YMCA of the Rockies marketing department. Find out more about Snow Mountain Ranch/YMCA of the Rockies at www.ymcarockies.org. Stacy Strayer • Stacy Strayer is a freelance writer who writes about everyday outdoor adventures, real estate, interior design, and life in general. She is a real estate broker living in Grand County. Her vices include spoiling her labs and indulging in red wine, and she has recently taken on writing grant proposals for local non-profits. 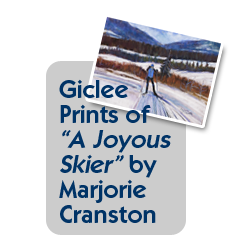 Stacy is an avid cross-country skier and snowshoer. Claire Walter • Claire Walter has long covered skiing (Alpine and Nordic), snowshoeing, hiking, backpacking and scuba diving. She is not only an award-winning writer, but she is a recognized authority on these subjects. Find out more at www.claire-walter.com. Phil White • Phil White lives in Steamboat Springs. He and his wife, Lois, moved there for the long winters and endless Nordic skiing. He stills likes the long, cold winters, although she’s not so sure. When he’s not skiing, he can be found playing with his two kids, and getting schooled in baseball by nine year olds. Jonathan Wiesel • Jonathan Wiesel is an author, writer, and cross-country ski area planner (www.nordicgroupinternational.com). He’s lucky enough to have visited more than 250 cross-country areas in the U.S. and Canada – and written about a lot of them in Cross-Country Ski Getaways (www.crosscountryskifun.com/eBook.php). These days he’s based near Boulder, Colorado. Nordic Ski Colorado offers a quality publication that mixes informational articles with guide information, so the readers not only know where to go, but also know what to do. Please email us at info@nordicskicolorado.com for our media kit with pricing information for advertising in the next issue of Nordic Ski Colorado. Nordic Ski Colorado offers banner ad opportunities on our website. 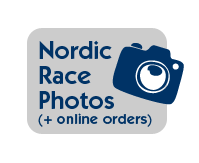 Please email us at info@nordicskicolorado.com for pricing information for advertising online with banner ads on our website. Hakan Memorial Nordic Festival at Steamboat Springs Ski Touring Center.